Siddharth Randeria’s ‘Gujjubhai the great’ fully entertains with lots of lol(laugh out loudly) moments throughout the film. The film is captivating till the end. It looks bit stretched in some portions, but subsequent scenes don’t allow you to feel it’s dull. You find smile on every face leaving the theater hall at the end of the film. Story line, acting, characters all are in sync. There are over a dozen ‘lol’ scenes, but in one scene, audience clapped too. In that scene, an Amdavadi lover boy replies a taunt passed by Punjabi rival lover boy about Gujarati people. ‘Goal karvo hoy to kick khavi pade’, ‘Gujaratio aatlu badhu bole chhe kem? Karanke badha emne sambhle chhe’, are some of the dialogues that we expect when king of Gujarati theater Siddharth Randeria is in central position in the film. The character called Bakul, a servant whose takiya kalam is ‘Bapa Sitaram’, a police inspector also make you laugh. As lakhs of people have seen Siddharth Randeria on theater stage, the film had good opening on the first day. Positive feedback and publicity-by-mouth will continue to bring more and more audience from all class during the weekend and even beyond that. The film has been released across maximum number of multiplexes in history of urban Gujarati films. And multiplex owners will not stay disappointed this time. While this movie’s shows on Friday evening are houseful in Ahmedabad, good news for producers is that the other big movie released today ‘Katti Batti’ has failed to entertain the audience. This means, Gujjubhai will have at least one safe week without any serious rival in multiplexes. So paisa vasool seems possible not just on audience side, but also on film makers side. Bakul Buch, Hasmukh’s hardworking manager has always had a soft spot for Tanisha but has never been brave enoght to talk to any woman, let alone Tanisha. Hasmukh takes it upon himself to transform Bakul from the simpleton that he is, to a cool ‘gujju’. 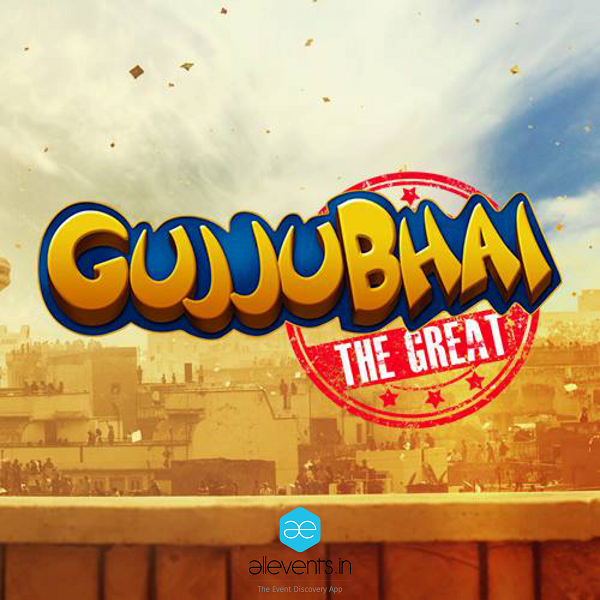 Gujjubhai – The Great is the first Gujarati urban super-comedy film. It is based on the superhit franchise of the Gujjubhai stage plays.